Briargate Personal Injury Lawyer | The Green Law Firm, P.C. Located close to the Colorado Springs area and the I-25, Briargate is one of the fastest growing communities in Colorado. It’s known for its exceptional shopping, great school districts and impressive neighborhoods. Residents here enjoy easy access to Colorado Springs via Powers Road and Academy Street. They can also head to Denver via the I-25. Whether you live in Cordera neighborhood or Meadow Ridge, chances are likely that you live in a beautiful, family oriented neighborhood with amazing views and high quality of life. Unfortunately, even in the safe community of Briargate, accidents can happen. From car accidents to slip and fall accidents, residents in Briargate are not immune to dangers. When life throws the unexpected at you, it is important to know where you can turn for help. At the Green Law Firm, our Briargate personal injury attorneys have the resources and experience needed to tackle even the most complex injury case. No matter where you are injured or how you are injured, you can rest assured knowing you have an experienced team of lawyers on your side. Your ability to collect maximum compensation, however, depends largely on building a solid case – and this case hinges on liability. Proving who was liable for the accident and your injuries is key to collecting the money you need to recover. 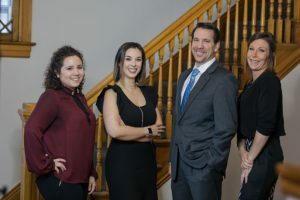 At the Green Law Firm, our Briargate personal injury lawyers work tirelessly for our injured clients to build a case that is designed to help them collect maximum compensation. Without an attorney on your side, the insurance company may not offer you a fair settlement. This could result in serious financial hardships for you and your family. When you are injured because of another person’s careless or reckless behavior, it is important to know your legal rights. You have the right to seek compensation for your injuries and for damages, and we can help. Contact the experienced Briargate personal injury attorneys at the Green Law Firm today to schedule a no-obligation consultation and discuss your case. Call us today at 1-719-694-8515.